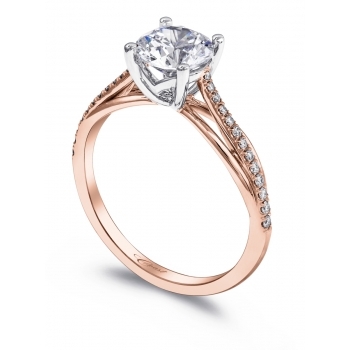 This elegant and streamlined design is taken to the next level when created in rose and white gold. 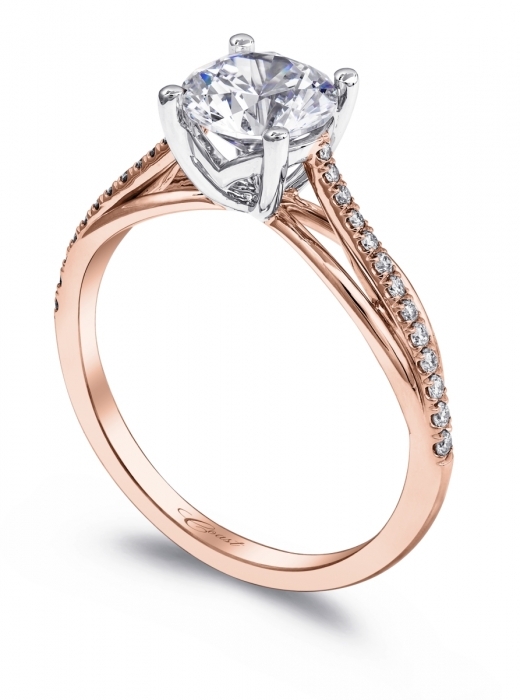 Featuring a graceful 4 prong setting for the center stone, and petite diamonds down the shank. Standard size created for a 1 ct center stone.